This software allow you to recover Exchange mailboxes from offline EDB files. It can also perform Exchange deleted email recovery from its server mailboxes. You can retrieve emails, calendars, contacts, tasks, journals, notes from each mailbox. Using EDB File Repair tool, you can easily recover permanently deleted data from EDB server mailboxes. It can recover all deleted items like emails, tasks, contacts, calendars, notes, etc. A user can have a look at the eliminated data and then extract deleted items from Exchange Server. Exchange Recovery Software allows users to migrate various numbers of mailboxes from EDB to Office 365 at one time. It enables users to transfer mailboxes in respective O365 account using the mapping option. The application not only support Exchange Mailbox Recovery but also allows users to export data in it. Apart from all other Exchange Server versions supported, it also supports Exchange 2016 and 2013 and other below versions. This application makes it possible for the users to select the EDB files of any storage group and retrieve all mailboxes in it. Exchange Recovery Tool contains many advance setting options which enables users to restore Exchange mailbox in a customized manner. Note: It is necessary to configure Outlook with Exchange to export data in 2003 version of the desired server. Exchange EDB File Repair software can recover and retrieve both public and private folders in Exchange server. 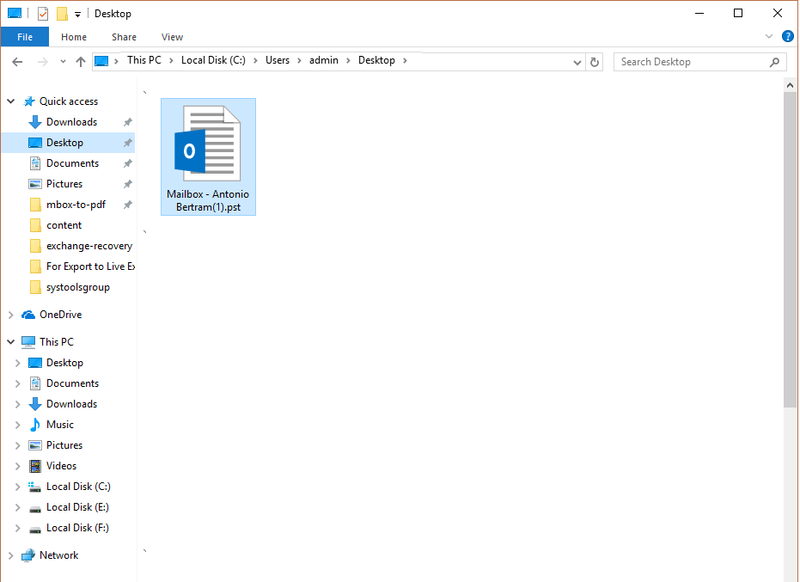 This utility makes it possible to extract data from pub.edb and priv.edb folders without any data loss. In order to retrieve messages of plain text format, HTML format along with RTF format, users can opt for this Exchange Mailbox Recovery Tool. It also ensures that the formatting of the messages stays intact. 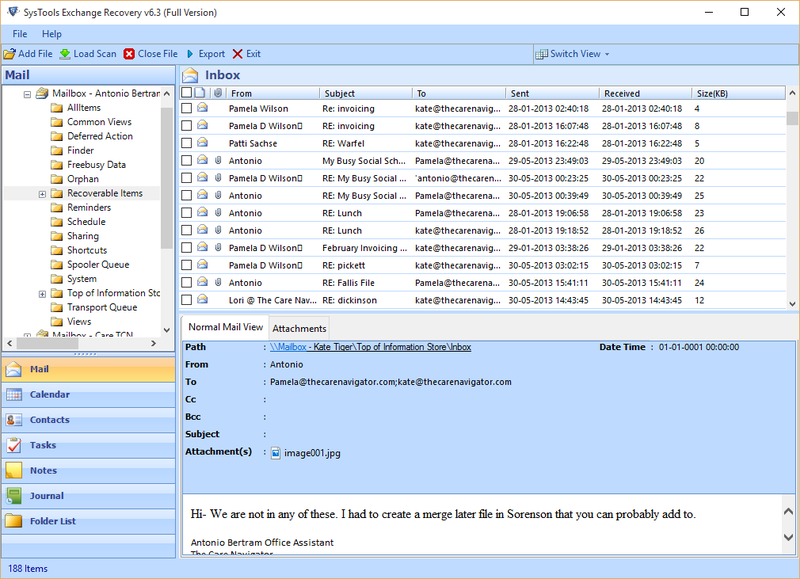 This utility recovers all Exchange Server emails and attachments along with it including images, documents, etc. Additionally, it will export the attachments engrossed in HTML body as well as other embedded documents, messages, etc. You can recover data from Exchange database using Quick and Advance scan mode. If the level of corruption is minimal then you can opt for Quick Scan mode but to repair highly corrupt EDB file you should choose Advance Scan mode. This software does not force any file size limitation so, you can recover emails from Exchange Server EDB files of any size. 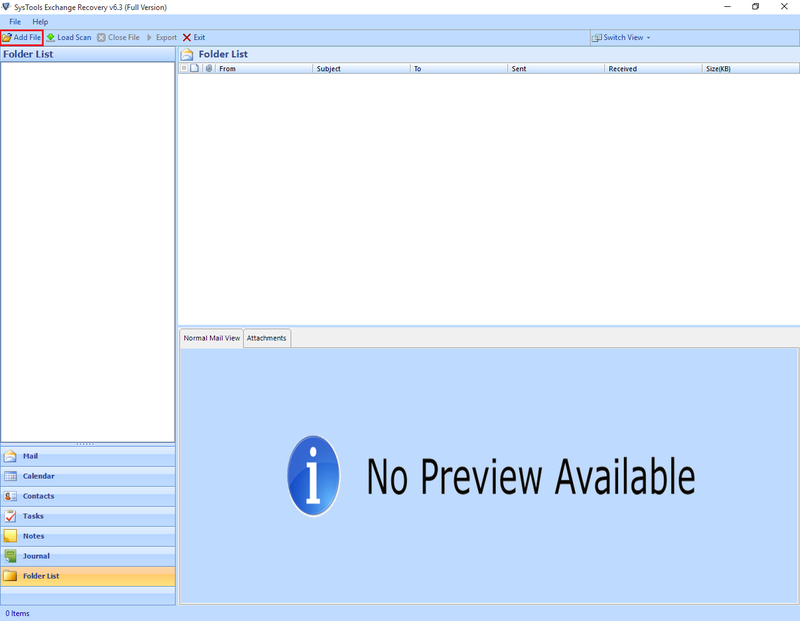 EDB File Recovery Tool helps the user by generating an instant preview of all the Exchange mailbox components such as emails, contacts, calendars, etc. along with its associated meta data. It will preview emails in original formatting with its associated attachments. While moving Exchange mailboxes to Live Exchange Server, you can use advance settings option to validate the account. Users just need to enter the Admin SMTP, Password, Server IP, and credentials of the directory account to operate this feature. Apart from this, users have to select the version of the destination server. To start the Exchange EDB Recovery process, users just have to add the EDB file and the STM file associated with it will automatically get loaded for Exchange 2003 and below versions when it is available in same folder. Therefore, both EDB and STM files can be recovered at one time. Exchange Recovery tool allows you to recover corrupt EDB files even when Exchange Server is down or inactive. It is not dependent on the availability of the Exchange Server. But, EDB repair tool requires Exchange connectivity only when users directly want to export retrieved data to Live Exchange Server. This application provides users with the option to selectively export Exchange mailboxes to various file formats. In this option, you can check or uncheck the unwanted folders or mailboxes. You just need to select the items from categories section like emails, calendars, contacts, etc. Using Exchange Database Recovery Software, users can export selective items from Exchange 2013, 2010, 2007 Mailboxes. When the application successfully repairs damaged Exchange data file, all items gets loaded into a three-pane format. At this instant, users can select the items which they want to export using advance settings feature. While using CSV file to provide targeted mailboxes, users will not have to generate the CSV file manually. 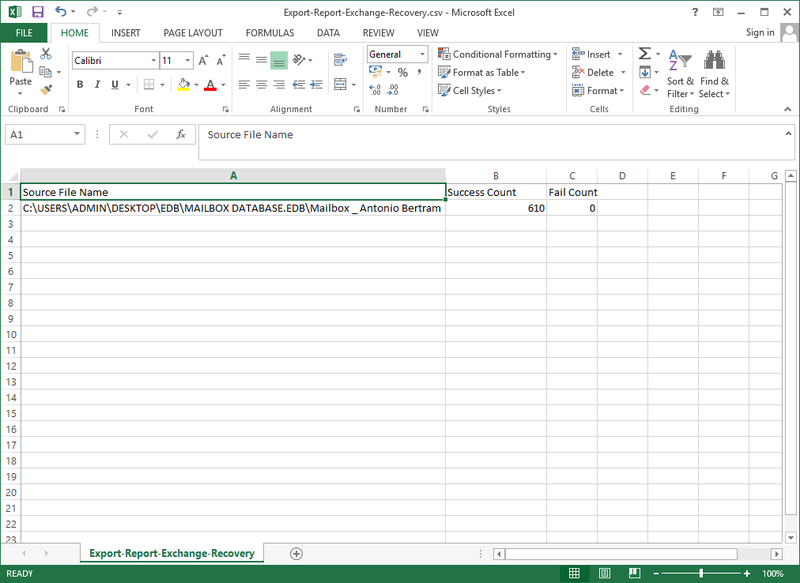 The file will be generated automatically just by clicking Auto generate CSV option in Exchange Recovery Tool. After clicking on the option, save the CSV file with the desired name to any location and then open the file to fill up the column of destination mailbox only. Also keep in mind that the number of entries in source and destination mailbox should be same. Exchange EDB Recovery Software maintains internal folder structure of folders and sub folders in EDB mailboxes while repairing and exporting them. The email attachments and meta properties are kept intact at the time of recovery. A small summary report is generated after the completion of the EDB file recovery process. It displays number of selected mailboxes and the path of exported Exchange mailbox of file created. The export report is generated even if the recovery process fails. Exchange 2013 Mailbox Recovery Software creates a resulting Outlook file UNICODE format. Therefore, users don’t encounter 2GB file size limitation issue. This utility provides a date and time filter option specifically for emails. While exporting Exchange EDB files to the featured file formats or importing it to Live Exchange Environment. 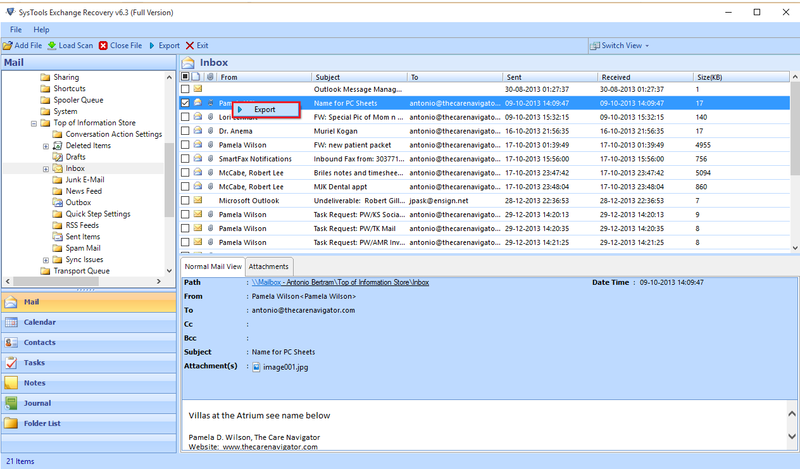 EDB Repair Tool provides filtration options to move only selected emails. This software is equipped with various file naming convention settings. If users have chosen PDF, HTML, MSG or EML option to retrieve email messages then they just need to select their desired naming convention out of seven patterns provided. The Exchange Data Recovery Software comes with a save scan option that lets you save time. Once you save the scan of an EDB file, that scan can be used later avoiding re-scanning which results in lower time consumption. It provides added support for the automated search in local drive of random EDB format files. 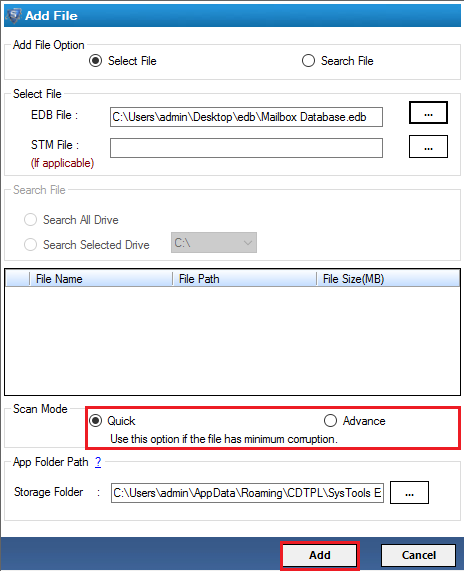 This option will help the users to save a lot of time consumed while manually locating offline EDB files. EDB File Recovery Software provides you an amazing feature to switch the view of the screen. By default, the view mode stays horizontal but can be changed to vertical view if required. Hard disk space : Around 50 MB of free hard disk space required. Demo version previews the recovered data and can convert 25 items per folder. I want to repair corrupt EDB file. Can I do this using this tool? Yes, EDB File Repair Software can help you to fix corrupt EDB files. It will recover data from corrupted EDB file and that can be exported again to Live Exchange Server. I have an EDB file but my Exchange Server is not working. Can I recover deleted emails from Exchange EDB file in this situation too? Yes, you can restore EDB files no matter your Exchange Server is running or not. 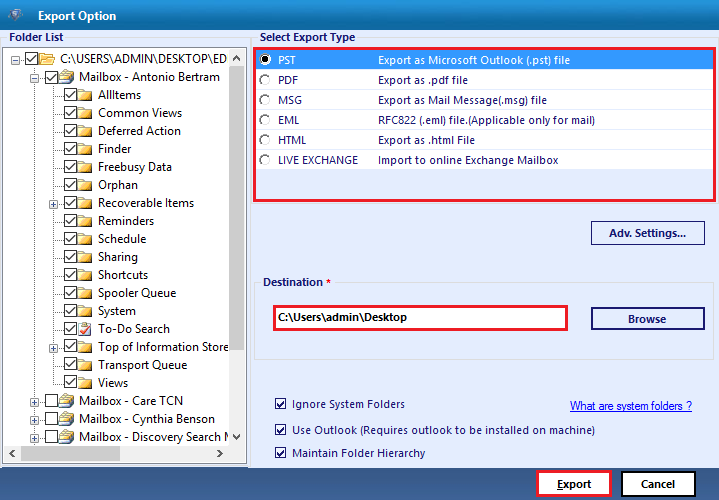 It only requires a live Exchange environment when you want to export EDB data into Exchange mailbox. Is there any file size limitation while performing Exchange Recovery? No, Exchange Database Recovery Software does not have any file size limitation on the size of the EDB file. This application is tested successfully with 1TB of data file. I want to restore Exchange Server public and private folders. Can I do this using this application? Yes, you can easily recover Exchange public and private folders using this Exchange Mailbox Recovery Tool. I wanted to print few emails of the server in portable document for evaluation presentation. But, when I opened my Exchange data file I noticed that my EDB file is highly corrupted. Can this software help me to get out of this situation? Yes, this application not only allows you to repair highly damaged EDB files but can also recover emails in PDF format. Our Exchange Recovery Software is all-in-one tool which can fix corrupt Exchange EDB files and provides option to print recovered Exchange emails in Portable Document Format. Exchange Server is of course one of the most reliable email client but we should be prepared for the mis-happenings too. If anyone’s EDB file gets corrupted then I will recommend them to use this Exchange EDB Recovery software. What makes it unique from other applications is that it helps with many other Exchange related matters too. As per my thoughts, moving pub.edb folder to Outlook PST was an impossible task until I used this Exchange Recovery Tool. This software works well with scanning and data recovery process. I wanted to restore some emails to EML format and rest in PST format and it was done with so ease. 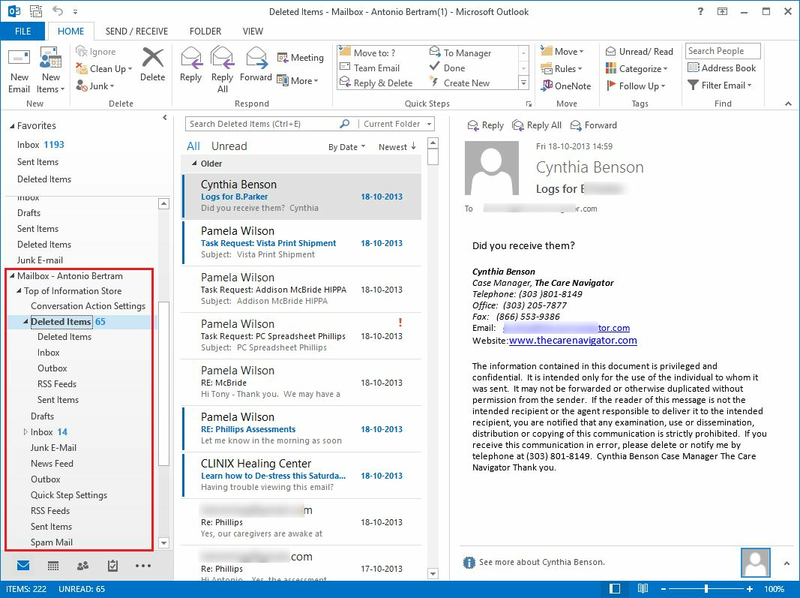 Emails, contacts and calendars were what we wanted alive after Exchange to Outlook conversion. And this tool solved my issue so easily. It is a highly sophisticated software solution that works without worrying about any data loss or damage. 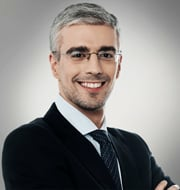 I would like to rate this tool with a 5 star.